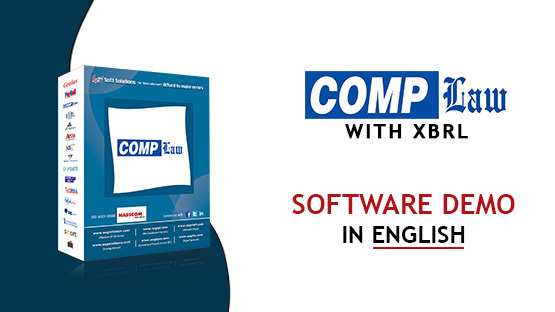 Gen Complaw is one of the leading software and also the best roc filing software for the solution of ROC e-Forms, XBRL, Resolutions, Minutes, Registers and various MIS reports. Our refined MCA software performs all the "XBRL" E-filing on time without any errors. It is very helpful in all statutory compliances under Companies Act, 2013 including maintenance of fixed assets register. It gives the fast response in a short time and credible in task performance. LLP e-Filing with all the Latest e-Forms. Company law software is now updated with the newly prescribed Companies Act, 2013. We give you all type of forms regarding your company related matters which are as follows. MOA and AOA of Private and Public Limited Companies. Various kinds of Resolutions (i.e. Ordinary, Special and Board Resolutions) as per the new Companies Act 2013. Notices as per new Companies Act 2013. Formats of Minutes of various meetings (i.e. AGM, EOGM and Board Meeting). Statutory Register formats as per new Companies Act 2013. Various kinds of report generation as per client’s requirements. Compliance Checklist and generation of Compliance Report. Preparation & e–filing of the balance sheet, profit & loss A/c in XBRL format as per taxonomy & validation tool of MCA. Rules, Circulars, Notifications as prescribed by the MCA from time to time. Fixed Assets Register as per new Companies Act, 2013. Form MGT: 7 for preparation of Annual Return. The format of Directors Report as per Companies Act, 2013. Summary Report as on date of the Company. Resolutions of both the types ordinary and special. Minutes book like the board, AGM and EGM. 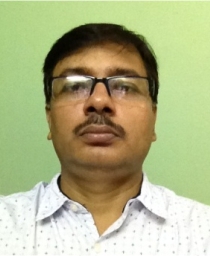 Fixed assets register with depreciation chart as per income tax act and companies act. The user can generate various kinds of Bills and receipts. Scheme forms like EES, FTE and CLSS etc. Penalties - It's a suggestion which gives you the information that according to the section who is liable for the penalty amount of particulars'. The administrator uses this option to import previous year balance sheet & profit & loss account from form-23AC & 23ACA respectively. The administrator can also import previous year balance sheet & profit & loss account from form-23AC & 23ACA respectively. Facility of the pre-fill company and master data. Facility to import master data from MCA portal. The administrator is having the facility to import auditor’s master-detail from form 23AC. Integration of MCA'S new XBRL Taxonomy conversion with revised schedule VI, validation, Pre-scrutiny & e-filing (Gen-XBRL utility). Special facility for the generation of the PDF files (e-form). To save the time we have the special provision to download all the latest versions of e-forms directly given on the MCA website. The administrator has the facility to create Director, Shareholder, CA, CS relative master which avoids duplicity of data. The administrator has the facility to create masters (resolution, minutes and agreement, etc.) with customization facility which avoids repetition of data. Several resolutions are also available for the purpose other than e-filing. Our software validates the complete e-form. Facility to convert word and excel files into PDF. Special feature of fee calculator. The administrator has option to select authorized signatories from the list of directors authorized to sign the e-form. No. of signatures of the same company can be added under one column for all the authorized signatories who can digitally sign the e-form. The administrator can log in company wise in our software. The administrator has an authority to log directly in the MCA portal in order to upload the e-forms. The administrator has the facility to create backup & restore data of the single company or of complete software. An administrator can maintain telephone directory. An administrator can manage client wise scanned documents & label printing. PAN/TAN codes & bank branch & BSR codes are available. Step 1: Feeding the whole financial data with all relevant notes and disclosures in Excel sheet provided by us, to download the latest taxonomy XBRL sheet. Step 2: Converting the XBRL Software sheet into XML file format by our Product "Comp Law" Software tool with professional(s) assistance. Step 3: Validating the data through MCA tool. Step 4: An instance document containing Balance Sheet and Profit and Loss Account will be generated as ready for e-filing. 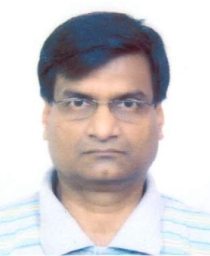 I am a chartered accountant by profession using Genius and ROC software since last 12 years. It has taken burden off my head for carrying my professional services to my clients. Now, no need to take print out and file them diligently and no fear of clerical staffs for not filing properly and also papers getting misplaced. Also in my experience, previously all the IT sections were readily placed in the mind and whenever clients asked for anything were advised without reference but this easy to use software has made us totally dependent on itself. I am using SAG Infotech software since the beginning of their journey, well its an excellent company dedicated force and user-friendly. We have developed an integration of MCA’s new taxonomy conversion with revised schedule VI, validation for pre scrutiny& e-filing (Gen-XBRL Utility). Self loading generation of PDF files(e-forms). Complete collection of all the versions of current e-forms can be downloaded as given on MCA website. Administrator can create Director, Shareholder, CA, and CS Relative Mater which avoids duplicity of data. Administrator can create Masters (Resolution, Minutes & Agreement, etc) with customization which ignores repetition of data. Complete range of resolutions is available for objectives other than e-filing. Administrator is having facility to sign digitally the e-forms. User is having facility to attach documents in our software which automatically attaches to the PDF file. All validations are of e-form will be performed software. Conversion of word & excel files into PDF. Authorized signatories can be selected from the list of directors authorized to sign the e-form. All signatures of authorized signatories for a particular company can be added under one Colum who can digitally sign the e-form.